A colorful scene in a tropical garden. 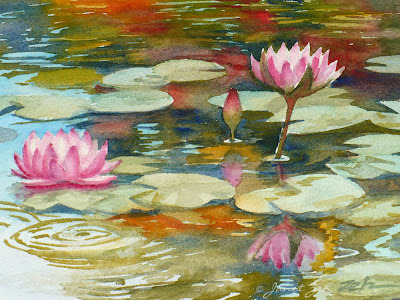 A pair of pink waterlilies bloom in a garden pond in Hawaii. 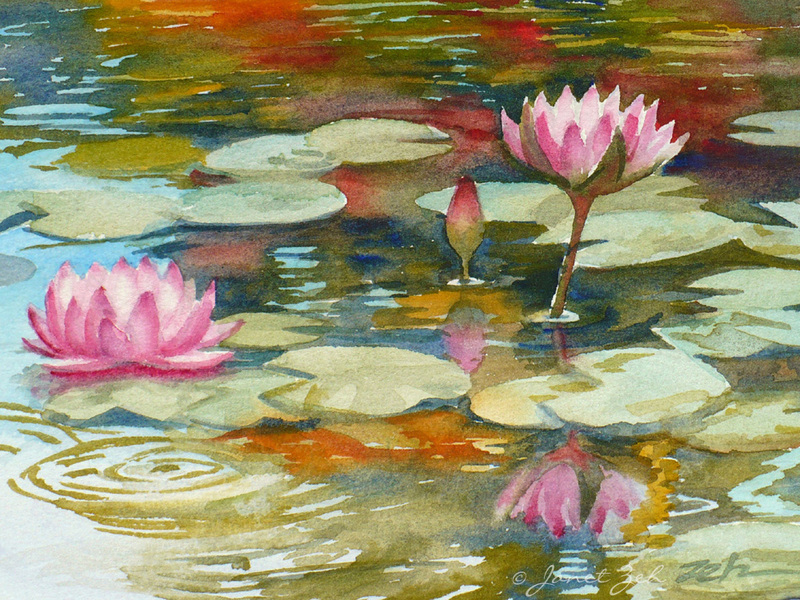 Waterlily Pond print comes in several sizes and may be ordered framed, unframed or on canvas. Click the Order Print button below for sizes, options and prices.